It is perhaps a misnomer to discuss future ‘blowback:’ there have been groups actively pursuing technological attacks on American targets simultaneously alongside the development of the U.S. drone fleet. Keep in mind blowback comes in forms other than just anger over actual attacks. There is growing dissent across the Middle East at what is perceived to be a total lack of transparency and scrutiny by the American public over its government’s use of drones. This concern was growing even before the U.S. expanded drone use into the Arabian Peninsula and Northern Africa. The issue of precedent is once again important: why would a group or government operate with a higher standard of transparency when the world’s unquestioned leader has wantonly not pursued such a standard? Thinking the newcomers to the drone party will do what the U.S. has not is simply illogical. Who is controlling the weapon system? Does the system of control and oversight violate international law governing the use of force? Are drone strikes proportionate acts that provide military effectiveness given the circumstances of the conflict they are being used in? Does their use violate the sovereignty of other nations and allow the United States to disregard formal national boundaries? Unfortunately, the overwhelming dominance of American drone capability allows these questions to remain largely unanswered or answered in contradictory ways. Analysts focused on short-term strategic advantage consider this brilliant, while work concerned with the longer-term bigger picture can do nothing but worry that any interpretive space allowed into the drone arena is usually filled by a cacophony of conspiracy and hyperbole, none of which is advantageous to the United States. In an environment where drone technology is being openly sold on a massive scale across the global market and countless countries are striving to build and obtain their own drone fleets, it is deeply troubling that the general consensus around the world is that America uses drones in a manner that makes questionable targeting and covert killing commonplace. The lack of concern within American corridors of power seems predicated on lazy assurance that no real rivals are emerging to learn from these ambiguities and obfuscations. The following evidence seems to indicate that might be the biggest mistaken assumption of all. Most discussions of an immediate drone rival to the United States begin and usually end with China. 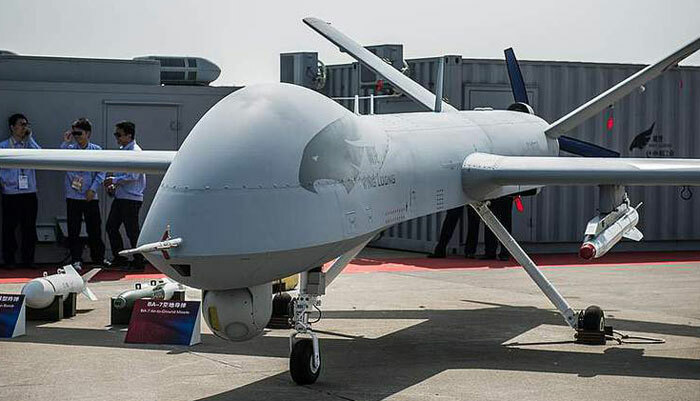 At last count China supposedly had over 900 different types of drones, ranging from micro, blimps, unmanned combat air vehicles, and rotary-wing UAVs. The three most common Chinese drones, the Chengdu Xianlong, Chengdu Pterodactyl 1, and Sharp Sword, have startling similarities to the American Global Hawk, Reaper and Predator, and the X-47B stealth drone respectively. This of course alludes to the apparent success China has had for several years in economic espionage, where it is believed massive amounts of confidential technical and commercial applications have been stolen from major aerospace and defense industries in America. This leads to a curious question: why are so many experts relying on the continued technical superiority of the United States when China is a vivid example of how unnecessary it is to have a domestic production capability? Why develop it if you can just steal it? American analysts should not discount such judgment as ridiculous. The Taliban and Al Qaeda have been a massive domestic problem for Pakistan. Pakistan’s request for Reaper technology from the U.S. has been long-standing. The refusal has been based on successive American presidential administrations feeling Pakistan was not ‘capable of handling such technology.’ As an olive branch the U.S. counter-offered a range of reconnaissance UAVs. In other words, it offered the technology that American analysts have openly derided for years as why other countries around the world will never catch up to the United States. Perhaps in a slightly ironic nod to the American tendency to talk out of both sides of its diplomatic mouth when it comes to drone standards and operational behavior, Prime Minister Sharif issued a statement on the momentousness of the occasion by saying that Pakistan now had the capability to shoot down U.S. drones but that they would be a ‘responsible state and did not want to take any decisions in haste.’ Fascinatingly, the greatest worry for the United States might be other states acquiring drones and ultimately adopting the exact same thought process and decision-making for its drone targeting and operational missions. Pakistan and China seem to be openly courting this very behavior today. Israel Defense Forces (IDF) actually succeeded in destroying a drone that it tracked flying over sensitive military installations and was approaching the Dimona nuclear reactor in 2013. The drone was unarmed but was operated by agents elsewhere and was attempting to relay images back to a home base. Israelis did not disclose whether or not that enemy objective was successful but they were certain that the drone was not American, Chinese, or Russian: IDF claimed it to be an Iranian drone assembled in Lebanon and flown by Hezbollah. I have loosely called this in the past the world’s first ‘Islamic Crescent drone’ and emphasized how much it signaled the transnational nature of drone technology proliferation already in existence. Iran has taken the lead in the region at least in terms of bravado, claiming in 2013 to have developed both ‘Epic,’ a drone supposedly designed for both combat and reconnaissance, and ‘Throne,’ a long-range combat UAV with alleged stealth capabilities. While the general global reaction to these announcements has been overwhelmingly skeptical, there are still important things to consider: first it is relevant that Iran makes a point of emphasis that its drones do or will always have the dual capability of both combat and surveillance/reconnaissance. The U.S. has pushed to keep these capabilities separate on the global market. In fact, the American emphasis on this separation is so adamant that some mistakenly consider the delineation as sacrosanct. It clearly is not and Iran’s statements open up a new world of consideration for other countries looking to develop drones domestically. It is also unwise to forget the natural cascade effects that come from such statements. Almost immediately upon these so-called ‘achievements’ both Egypt and Saudi Arabia became far more interested in acquiring drones for their militaries and sought the right technical/financial budgetary investment to develop their own programs. The basic principles of foreign affairs dictate that America could easily be sucked into regional conflicts where its interests figure prominently. It is inconceivable to think a ‘drone war’ between Iran and Saudi Arabia or Egypt would not end up being a major national security interest for the United States. On that same level Turkey has openly pursued tactical UAVs for its own internal problem with the Kurdish Workers Party. The Turkish Army believed it was letting a prominent strategic advantage slip by if it did not acquire drones capable of helping in border security, urban warfare, and other operational missions innate to the fight against insurgent Kurds inside of Turkey. 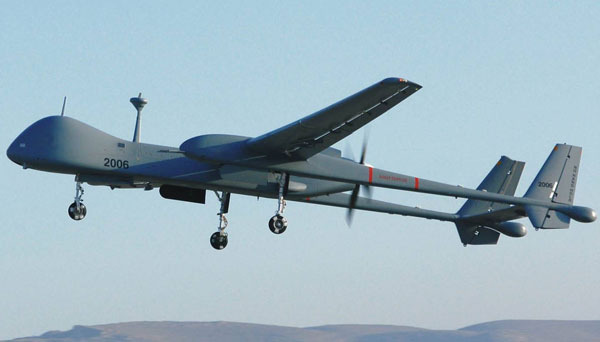 The position is in essence a policy switch away from Israel, which had long been supplying its own Heron-1 medium-altitude, long-endurance UAVs to Turkey. So the Turkey-Israel connection shows an increasing sophistication in the drone acquisition market, where states now become more demanding and explicit about their own national interest needs. More importantly, Turkey’s own initial attempts at developing drones domestically, in 2011 and 2012, were regarded as failures. But this failure only meant Turkey shifted its focus to foreign acquisition as opposed to domestic development. There are ample potential partners already willing to cooperate and engage such wishes. After all, the aforementioned Israeli Heron-1 platform has already been sold in recent years to Brazil, France, Germany, and India. Singapore joined the above list of Heron-1 acquirers in 2012. Unlike other countries, Singapore emphasized how the acquisition was just the first step in its long-term plans. Ultimately, success in the drone era according to Singapore depended not just on the existence of technology but on the development and training of talented personnel to operate it. Thus, it is yet another chink in the American armor that presupposes an easy continued dominance for its own drone fleet. Confidence in the superiority of American training is likely well-founded, but there is a difference between superiority and inaccessibility. Meaning, if drone technology can be stolen or legally purchased, so can drone training techniques. It is not difficult to imagine a day not far off in the future with drone armies operated by personnel that are relatively equal in terms of talent and experience. Indeed, Singapore seems to be a leading example for the greater region, as Asia Pacific clearly has the biggest potential to become one of the largest UAV markets in the world. In fact, what has been steadily growing over the past decade is expected to explode in the next, surpassing Israel and becoming second only to the United States. In addition to China and Singapore, India, South Korea, North Korea, Malaysia, and Australia are all active and passionate participants in the drone market, each one aiming to develop its own fleet, whether it be purchased internationally or built domestically. Therein lies the complex reality of today’s drone era that is getting superficially passed over in modern analyses: it is doubtful that the United States worries about India, Australia, or South Korea obtaining drone technology. In those cases the sense of allegiance and cooperative friendship is strong and decades old. But the same really cannot be said for North Korea, Malaysia, or China. In all of these cases the countries in question are aggressively pursuing not just acquisition but domestic industrial production. In addition, industrial production, commercial activity, and the like are being matched by a strategic military prioritization aimed at developing skilled personnel. Perhaps most importantly of all, complex interdependence and the linked nature of conflict in the modern era means all of this drone activity does not take place in a vacuum: India’s emergence into the drone marketplace will clearly impact both Pakistan and China, whose continued relationship will concern and influence future Indian decisions; it is fairly obvious how South Korea and North Korea will impact each other; Singapore and China should not be automatically assumed to be smooth relations either. American comfort with drones so far has been a belief in maintaining superiority and control over three things: emerging rivals, domestic production, and commercial activity.